I love it when I pull out a polish and it looks like it's GLOWING. 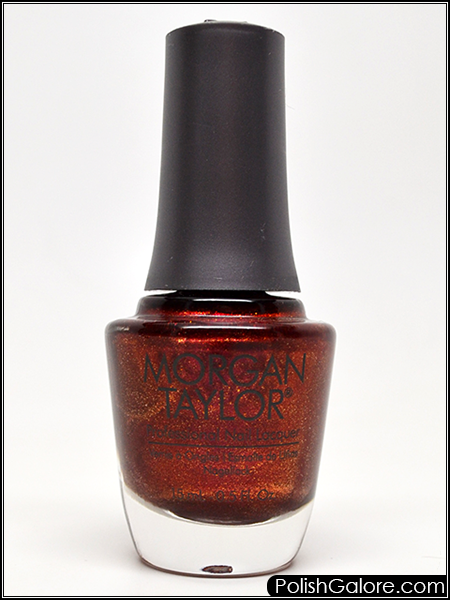 That's how I felt with Morgan Taylor Wish Upon a Starlet from the Forever Fabulous collection. This crimson red has all this glowing gold shimmer in it that just makes me happy. I started with Morgan Taylor REACTmax Optical Brightener and 2 coats of polish before topping with Glisten & Glow top coat. I didn't have any issues with formula or removal. The glow just makes my nails shimmer and pop and I think this is a great fall color for sure. It's like they bottled Marilyn!